Thanks, Cath! (Blush, blush.) 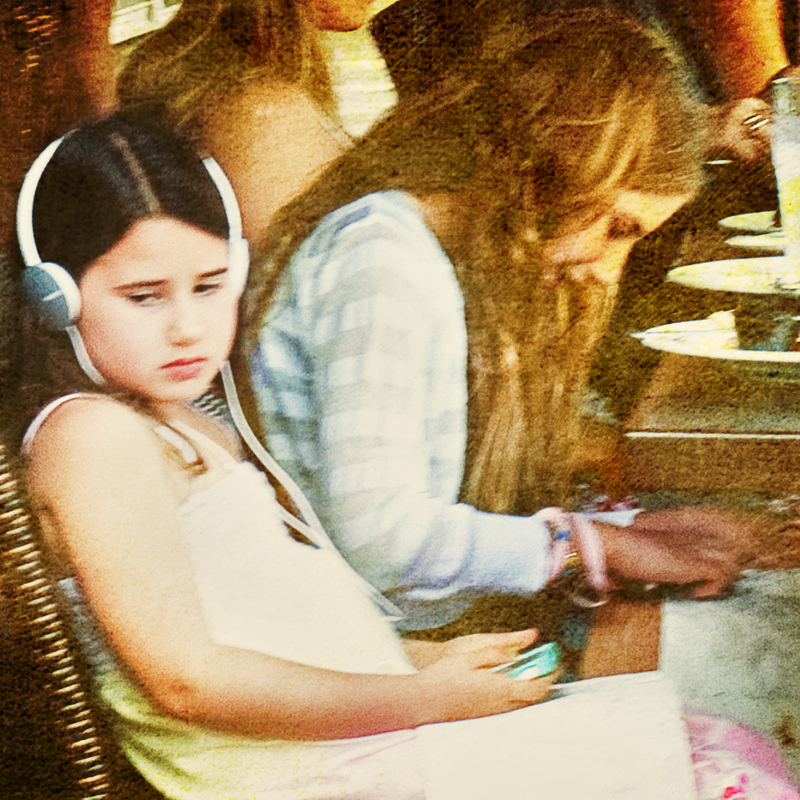 When I first saw the little girl, it was her sadness that caught my eye, and then I realized she was listening to her MP3 player while people (her family?) at the same table were laughing and enjoying themselves. I was going to title this “modern child” because you see this scenario too much these days. But luckily there are still families where children and adults engage together rather than stay in their own separate worlds! Hope all is well with you and your lovely family! This is a wonderful photo, Sherry…very thought provoking. Your work is amazing. I am following your blog and love the images you are capturing. Best wishes and happy travels.